Even though I love nail art, I rarely ever do anything different with my nails - I always have one full colour of nail polish (I don't like french manicures). 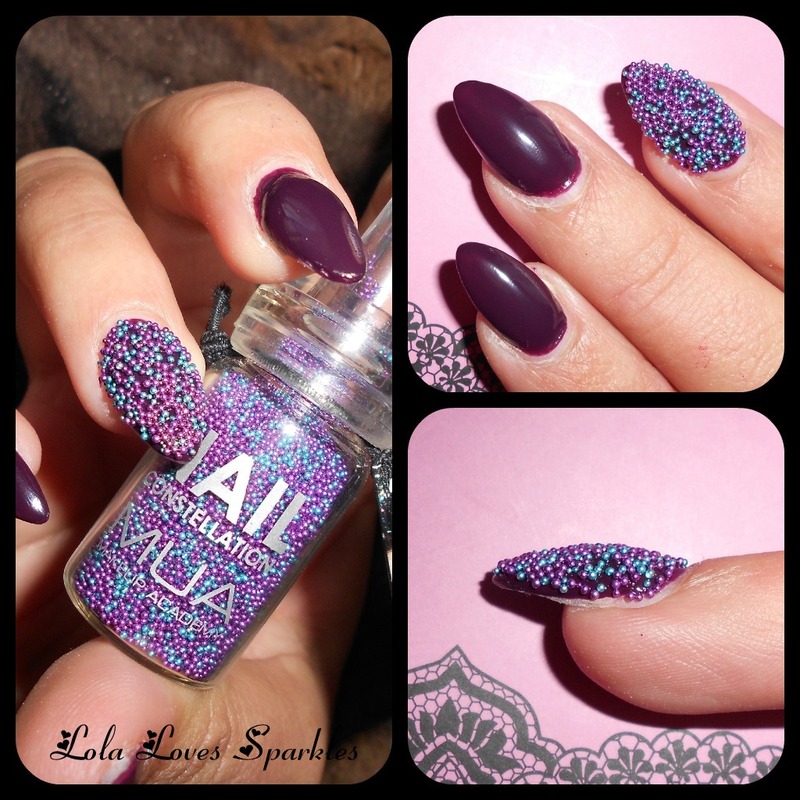 I lately bought a small bottle of caviar beads (or micro beads - call them what you wish) from MUA (aka Makeup Academy), which come in a cute little bottle + funnel and are called Nail Constellations. I got mine in Leo (my star sign ^.^ ) and I finally got to try them today! I bought this when MUA had the 40% sale, but they surely won' break the bank if you decide to get one because they're so affordable! You can buy yours here! 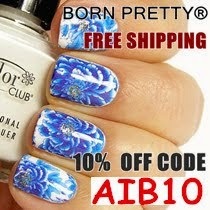 And at the moment they have a £1 off all their nail effects, even the Fluff (which I also bought but still waiting for my last order to be delivered). Yeyy! What impressed me was that from the beads are really tiny and so from the side they don't look huge. Moreover, when you are done applying the beads you can pour the excess beads back into the container using the funnel. Hopefully I won't nibble on them cause they are sooo tempting! yes I really love purple! I love these, I did worry about them being too big but I'm convinced! Do you think they would stick to normal nail polish? They're tiny! I'm sure they do stick - but I'm not sure of their staying power without a topcoat. I'm still trying to find a topcoat which does not lift their colour, will let you know when I find one! I love how your manicure looks! The shape and colour of your nails is gorgeous! thankyou! I just checked out your post re:nail constellations and I love it too! the colour you chose goes really well with the constellations!.